Daily Dividends » New year, New chapter. Attend a local chapter event! Chapter events are a great way to establish personal contact with your fellow CPAs. As an Alberta CPA or CPA candidate, you already automatically belong to a local chapter, and are encouraged to become an active participant. Chapters organize their own events, which often include informative presentations and social gatherings, making them ideal for both expanding your networking and learning new skills. Each chapter is independent and guided by an elected board of directors, comprised of local CPAs and CPA candidates. New in 2019 is the Lethbridge Chapter of CPAs. If you’d like to get involved with the Lethbridge Chapter, email lethbridgecpa@gmail.com. Below is a list of some upcoming chapter events around Alberta. Join your Calgary Chapter of CPAs for a CPA Expert Panel – Challenges ahead for Accountants in Oil & Gas. 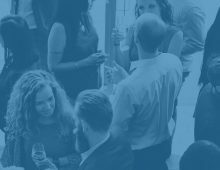 Meet your Edmonton Chapter of CPAs at Leaders of the Next Decade – Sapient Organizations. Join this luncheon to hear from Dalibor Petrovic, Partner at Deloitte, leading the Technology Strategy practice in Western Canada. Dalibor will be taking us on a journey of organizational evolution! Join your Central Alberta Chapter of CPAs in celebrating the success of our 2018 Chartered Professional Accountant graduates! Ceremony and dance to follow. Join us in celebrating the success of our 2018 Chartered Professional Accountant graduates! Join your Grande Prairie Chapter of CPAs and celebrate the newest Chartered Professional Accountants! Complimentary tickets for each graduate plus one guest. Additional tickets $100 per person.